With over 30 years of hospitality and food service industry experience, Mark began his professional career cooking in restaurants and hotels in Pennsylvania and Minnesota, he will tell you his career really began when he started helping his Italian grandparents garden and cook. 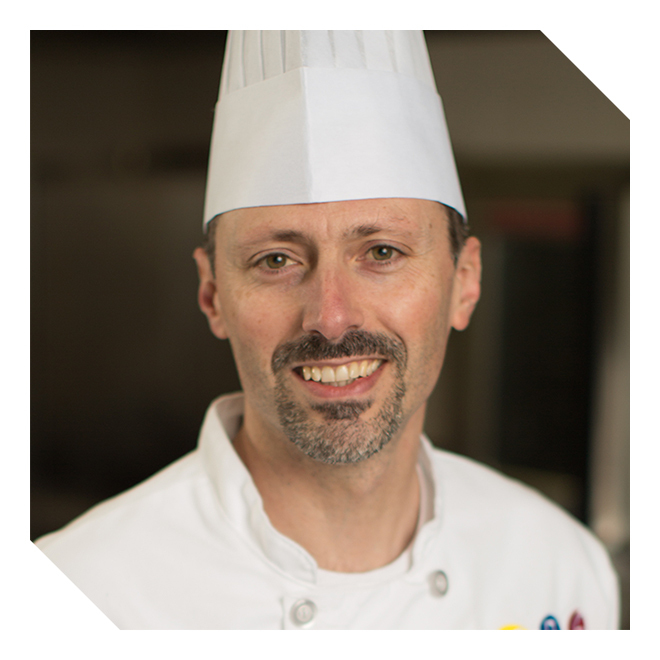 He was given an opportunity to bring a Chef’s perspective and knowledge to large scale cooking and began developing recipes and processes to USDA inspected plant operations. This experience is being used for the Minneapolis Public Schools meal program which is serving almost 50,000 meals a day in over 70 locations. Mark has added to his professional experience by traveling the world and visiting some of its amazing food cultures. Some of the most memorable were visits to Morocco, Vietnam, Peru and of course France and Japan. He is a member of the MPS True Food Chef Council, and participates with a group of Minneapolis Chefs that support and endorse the Minneapolis Public Schools Culinary & Wellness initiatives of using real ingredients free of high fructose corn syrup, artificial colors, flavors or preservatives and is helping move industry towards meats raised without the use of antibiotics. Mark also enjoys volunteering for youth focused activities such as summer cooking camps or mentoring kids with Roots For The Home Team, a local organization teaching kids how to prepare fresh meals for themselves using items from local urban gardens to create recipes that they can prepare and sell to the public.